Insect Art: "North America's Largest Jewel Beetle"
"North America's Largest Jewel Beetle"
I recently came across this article by a local Entomologist and found it very interesting. Check out this gorgeous Jewel Beetle from Jamaica! Notice especially how it changes color as it matures! The photo below is the fully mature beetle, while the author's photo below this purple specimen shows a newly emerged adult. In recent weeks I’ve featured a few jewel beetles that I have encountered amongst specimens sent to me for identification . While the new distributions and even unknown species that they represent are fascinating from a scientific perspective, their diminutive size (~6 mm in length) probably makes them less than spectacular to the non-specialist. The family Buprestidae does, however, contain some very large species, including a few that qualify as bona fide giants. 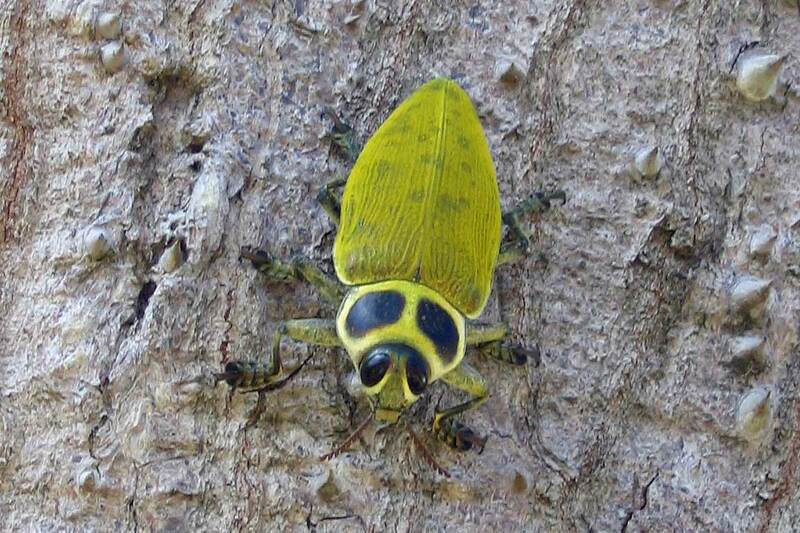 One such species,Euchroma gigantea (Giant Metallic Ceiba Borer Beetle), occurs from Mexico through Central America, the West Indies, and most of South America. At a maximum of 65mm in length, it is not only North America’s largest jewel beetle, but also the largest jewel beetle in the entire Western Hemisphere. Why are Female Moths Bigger?